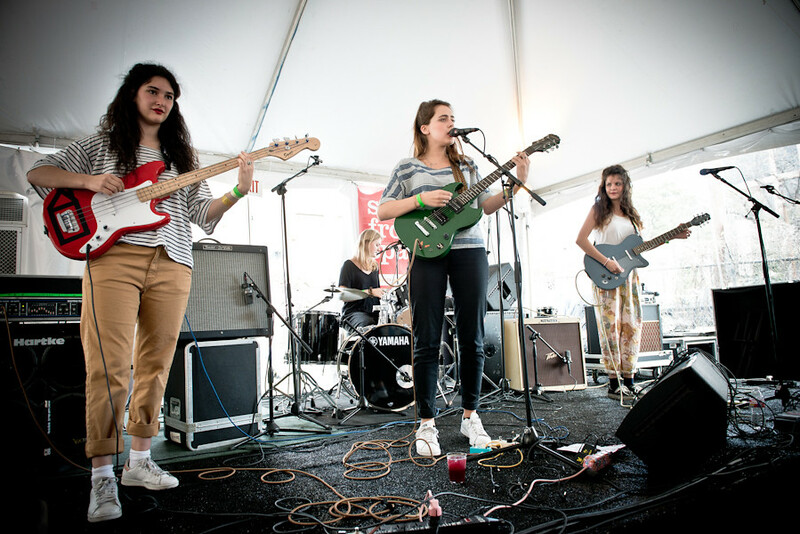 HINDS made their network television debut last night during a taping of The Late Show with Stephen Colbert. Playing a mellowed-out version of "Garden" off their debut album Leave Me Alone, the Madrid-based band later tweeted "We might have been the first Spanish band to play an American late night show ever. In the history."